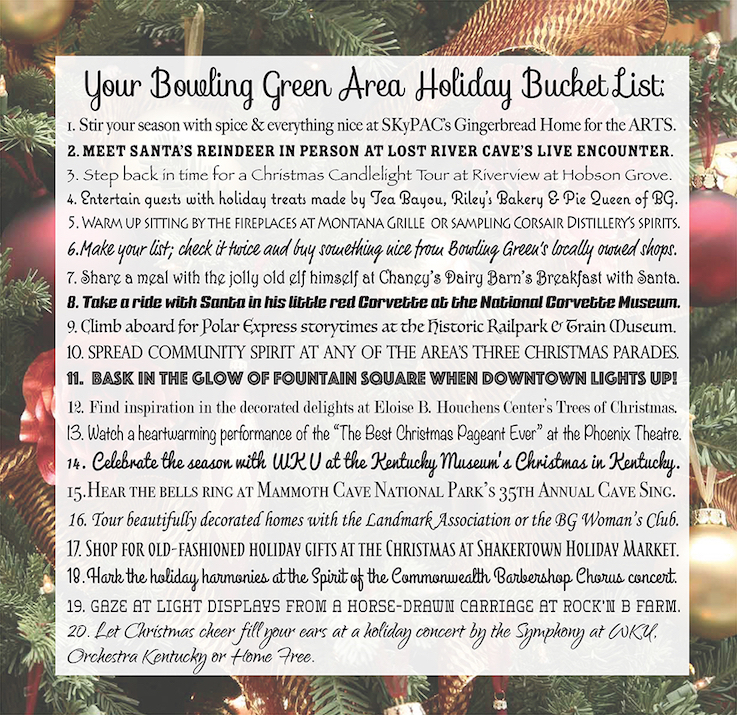 We proudly present your Bowling Green Area 2015 Holiday Bucket List! There’s plenty of time to start making plans! Tag your posts and photos with #bgky and #gearedforcheer! Be sure to check out our ‘Holiday site’ for details about these activities plus even more fun-filled events taking place this season. You’ll find suggestions on how to spend jam-packed days and ways to fill the sometimes cold & dreary winter afternoons.